While playing in your favourite online casino you might come across video slot games by Thunderkick. Thunderkick is a Stockholm based company who develops slot games for the online iGaming industry. At the moment the slot developer holds multiple popular titles including Fruit Warp, Yeti, Pink Elephants and The Falcon Huntress. The success of Thunderkick is based on working with a very experienced team which creates all games and platforms in-house. Thunderkick is now licensed by the MGA and the UK Gambling Commission. Ready to learn more about this popular game provider? Then continue reading! It all started back in the year 2012. In this period the simple idea of creating better games for online casinos and improving the overall player experience popped up. Since then things went quickly. At the moment Thunderkick is a recognized independent game supplier with offices in Stockholm and Malta. In addition to producing games Thunderkick is also busy developing Remote Gaming Servers for the iGaming industry. Since day one Thunderkick aims to develop unique high quality productions. And they really manage to do this! How? The company has a very creative team bursting with fresh ideas. On top of this the company has enough knowledge and know-how to execute these new ideas. Because of this you will now find Thunderkick games in hundreds of different online casinos. Below you will find a list of the most popular online casinos that offer video slots by Thunderkick. Now Thunderkick games are getting very popular more and more online casinos decide to add them to their game portfolio. At the moment you will be able to play Thunderkick slots in hundreds of different online casinos. But which casinos are the best? In the table below you will find an overview of reliable online casinos that offer slots by Thunderkick. We have tested all these casinos and we can say they are safe and secure. On top of this most of these casino offer a nice bonus which you can use while playing your favourite Thunderkick slots. Some of these bonuses are available on sign up, and for some you will need to make a first deposit. One of our tips is One Casino, at this casino you will be able to test some Thunderkick slots with a €10,- no deposit bonus! If your favourite online casino doesn’t offer games by Thunderkick then you can decide to find a new online casino to play these amazing games. And what’s a better way to get started then with a no deposit bonus? At the moment we have deals with a few online casinos which will let you start playing with a no deposit bonus. This bonus can be for example €5,- Free Cash, €10,- Free Cash or 50 Free Spins. 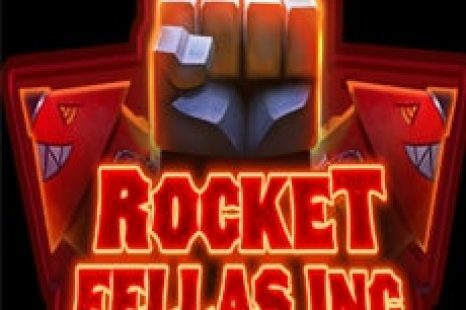 Below I will summarize a few of my favourite Thunderkick No Deposit Bonuses! 1. 21 CASINO – €10,- FREE + 10 FEE SPINS! This might be one of the most popular bonus offers on our website, the 21 Casino No Deposit Bonus. With this amazing bonuses you can now collect €10,- free cash on sign up. This means you will only need to register your free account to start playing with €10,- free credit. You will be able to spend this credit on almost all of the available slots including those from Thunderkick. In addition to this bonus you will also receive 10 Free Spins on the popular NetEnt Slot Starburst. Ready to start playing with this bonus? Then register your free account on this page! Huge amount of the best online casino games. Works great on mobile devices including tablets. Fair gaming because of regular audits. One other very popular bonus offer is the registration bonus of One Casino. At One Casino you will be able to start playing Thunderkick slots with a €10,- no deposit bonus. How it works? Simply sign up and choose one out of two bonus offers. With the first offer you will receive a €7,50 registration bonus with no wagering requirement. On top of this you will be able to enjoy a 50% first deposit bonus and five weekly deposit bonuses. When you choose the second registration bonus you will receive €10,- free on sign up. This bonus has a 25 times wagering requirement. In addition to this bonus you will also be able to collect a 100% first deposit bonus. Ready to make you choice? Then register your free account on this page! Exciting portfolio of in-house build games. NetEnt & Evolution Gaming Live Casino available. Collect up to €10,- on sign up. One of the most recommended online casino to start playing is LeoVegas. Why? Because they are reliable, safe and offer loads of games. At the moment LeoVegas doesn’t offer a no deposit bonus which you can use on Thunderkick slots. Although this is the case you can play up to 50 Free Spins on Starburst, Twin Spin, Mega Fortune Dreams, Warlords, Witchcraft Academy or Jack and the Beanstalk. And after playing with these spins you will be able to collect a 200% bonus which you can use on Thunderkick games. Ready to start playing at the King of Casinos? Then register your casino account on this page! Since this casino is very popular many people are searching for a LeoVegas Deposit Bonus. And this has multiple reasons! One of the reasons is that LeoVegas is seen as the King of Mobile Casinos. This is because the casino offers a great app and an flawless mobile experience. This great experience has resulted in a multiple respected prizes including the ‘’Mobile Operator of the Year Award’’ during the EGR Nordic Awards 2016. And that’s not the only benefit of playing at LeoVegas. We would recommend LeoVegas because it has many benefits including the ones below. For more information about this great (mobile) casino. Please visit our LeoVegas Review! Great collection of casino games. Live chat available on website. Collect up to 50 Free Spins! Enjoy the Free LeoVegas App. Live Casino and Sports Book integrated. HD Quality Live Casino Streams. Since the start in 2012 Thunderkick has developed plenty popular slot titles. One very classic game by Thunderkick is Fruit Warp. This fruit-themed slot is very exciting and includes a bonus rounds which awards huge multipliers. Other newer popular titles are Zoom, Spectra and Rift. In 2017 and 2018 Thunderkick has also launched some very popular slot games including Pink Elephants, Wild Heist at Peacock Manor, Yeti Battle of Greenhat Peak and the Falcon Huntress. Below I will highlight some popular Thunderkick productions. One of the most iconic slots by Thunderkick is Fruit Warp. While playing Fruit Warp you will need to match types of fruit to win prizes. The more exotic the type of fruit, the better the prizes are! When you pair up three of the same fruits you will win. When you collect five of the same fruits you will activate the Fruit Mode. During this special bonus mode you will continue playing to win prizes and let an dynamic multiplier increase. And the higher both get, the better your final prize will be! When you land four of the same fruits during the main game the slot will respin to give you another chance to enter the Fruit Mode. Ready to try your luck? Then open your account at one of the many Thunderkick Casinos we have listed on top of this page! One of my favourite Thunderkick games is Wild Heist at Peacock Manor. Why? The game looks amazing and offers multiple fun features. While playing in the main game you will be able to unlock multiple random features. These feature reward you will random Wilds, Wilds reels and Walking Wilds. All these feature can pay pretty well which make the main game fun to play. On top of this Wild Heist at Peacock Manor offer a very cool bonus feature. You can enter this bonus my landing three or more keys. During the Free Spins Feature you will enjoy a minimum of 7 Free Spins with extra Wilds, multipliers and Mystery Feature. And when you land two or more Scatters you will be able to increase the amount of extras by Re-picking a treasure. Pink Elephants is a Thunderkick slot which feature stunning animations and well-designed symbols. The game offers a total of six reels and four rows. Obviously the Pink Elephant represents the most rewarding symbol. In addition to this the game offers Wilds, low basic symbols and some Tribal Minions. Collect three or more seeds to unlock the Bonus round. Scatters appear on all reels and can also appear because of the mystery scatter feature. During this feature there will appear between 1 and 5 scatters on the reels. The more scatters you collect, the more free spins you will be awarded. During the bonus round you will need to collect red Elephant orbs which will turn more symbols into Red Elephants. This increases you chance of landing a huge win with this highly rewarding symbol. On top of that every symbol will award you with one more free spins. Yeti Battle of Greenhat Peak is one of the most recent video slots by Thunderkick. During this exciting game you will go on an ice-cold adventure featuring Wilds, Wild Attack Spins and a Bonus Game with multiple Sticky Wilds. Collect three or more carrots to unlock this bonus game. Collect more bonus symbols during the free spins round to unlock more sticky wilds. When you land 2 carrots during the main game you will unlock the Wild Attack Feature. During this feature you can unlock multiple Wilds or the bonus game. The Falcon Huntress is a Thunderkick video slot with a total of 9 paylines. This game feature a Wilds symbol which also acts as a Scatter symbol. Collect three or more Wilds (The Falcon) to unlock 10 Free Spins. During the Free Spins feature you can retrigger 10 Free Spins. In addition to this all wins will be expanding. This means every winning combination will fill the whole reel. During the main game you will also be able to get expanding symbol, but this appears not that often. While playing the Falcon Huntress you will be able to win huge with the Huntress symbol. While lining up five of them you will win x500 your bet!